A partnership involving De Beers Group has brought free wifi to the Oppenheimer Park in Kimberley to help scores of young South Africans without access to the internet. The wifi coverage is sponsored by De Beers Group, the Sol Plaatje University and the Sol Plaatje local municipality. It will also take in the nearby Luka Jantjie university building and the Northern Cape TVET [Technical and Vocational Education and Training] College. 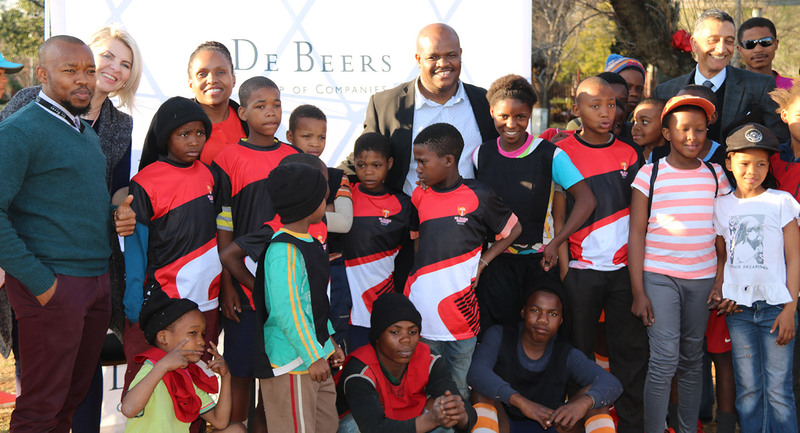 De Beers Group invested more than R300,000 on the infrastructure of the project. Corporate Affairs Manager Abel Madonsela said the company was excited to be on board as a partner. “This is an opportunity for us to ensure that people have access to information, globalisation, education and access to being creative, especially students,” he said. The free wifi will enable young people – and others without access to online data – to search for work or apply to educational institutions.